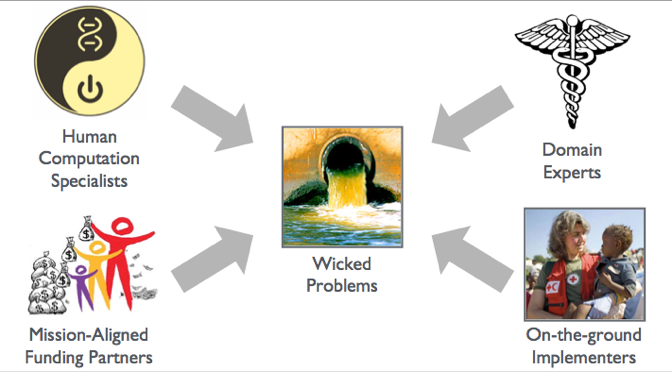 “Wicked problems” are intractable societal problems (e.g., climate change, pandemic disease, geopolitical conflict, etc. ), the solutions of which exceed the reach of individual human cognitive abilities. They are often multifaceted, involving multiple systems such that a solution that benefits one system (e.g., Earth’s ecosystem) may harm another (e.g., the global economy). Furthermore, viable solutions tend to be dynamic, adaptive, and ongoing. Human computation (HC), which encompasses methods such as crowdsourcing, citizen science, and distributed knowledge collection offers new promise for addressing wicked problems, by enabling participatory sensing, group intelligence, and collective action at unprecedented scales. Ironically, many of the wicked problems we face today have resulted from unintended manifestations of collective behavior (e.g,. car pollution). Thus, we now seek to harness and improve this crowd-powered capability as a fitting remedy. Despite such promise, transformative new ideas are not enough to solve real-world problems. Indeed the Human Computation Institute employs a practice of four-way teams with end-to-end partnerships to ensure that initiatives will have a high likelihood of success in terms of quantifiable and meaningful societal benefit. Candidate projects often begin with an articulated need and prospective HC approach. However, because HC, like Computer Science, is an enabling technology, developing new methods and associated capabilities often requires domain expertise (e.g., Genomics) in the problem space. Furthermore, the breadth of HC methods and approaches often requires input from contributing disciplines to address, for example, participatory approaches, workflow architecture, and complexity analysis. The marriage of domain experts with HC specialists thus ensures a core research team with relevant competencies and technical perspective. The Human Computation Institute, with its broad network of advisors, affiliates, and partner organizations is both a community leader and agora for HC researchers. As orchestrator of a 117-author collaboration leading to the field’s most extensive reference text, public driver of a national HC research agenda, and as publisher of the only dedicated scholarly journal for Human Computation, the Institute has broad access across domains to the world’s leading HC researchers and relevant domain specialists. This broad participation base ensures a high degree of selectivity and specificity in forming research teams that are suited to both to the problem space and technical approach. Partnership is a core tenet of the Human Computation Institute, and never more so than in building effective and enduring relationships with mission-aligned funding partners. Though it may seem like a philosophical nuance, this partnering perspective is critical to outcome-based successes. Funding entities live and breathe in the space of purpose, often reflecting a careful assessment of societal needs and relevant solution gaps. Such an awareness can critically inform development and implementation approaches. Thus, embracing funding organizations and their program directors, not only as essential financial resources, but as key strategic partners helps keep solutions aligned with zones of maximal impact. A capability becomes a solution only when it has been effectively implemented in the real world to address a specific need. Implementers are applied domain experts, such as humanitarian workers coordinating relief efforts, or first-order stakeholders, such as medical researchers analyzing huge datasets. Ultimately, these implementation partners are needed to deploy and administer new HC capabilities in service of societal betterment. Because of their extensive practical knowledge, they are also essential members of a solution team during concept development, to inform interaction design and reconcile unanticipated differences between theoretical expectations and real-world dynamics. Early involvement from an implementer can reduce the number of iterations to prototype maturity and accelerate deployment readiness by building relevant competencies in parallel with the associated HC technology. Any new initiative at the HC Institute requires a human computation specialist, domain expert, funding partner, and implementer. Anything less than a collaboration formed from these four cornerstones is by our definition not a solution team. As an innovation center, the HC Institute encourages creative approaches to unsolved problems, which may involve speculative methods. However, the four cornerstone approach reduces other R&D risks to maximize the likelihood of high-impact beneficial and enduring outcomes. Fundamental research is critical to the advancement of Human Computation and, indeed, consistent with the mission of the Institute. Theoretical advancements reduce application development time and improve the validity and repeatability of HC methods. Because the field is still young, solution development often necessitates the new development or extension of HC methods, which requires associated empirical studies. The Institute holds that any such findings should be shared broadly with the HC research community for the benefit of the field, which in turn supports more effective HC solutions. 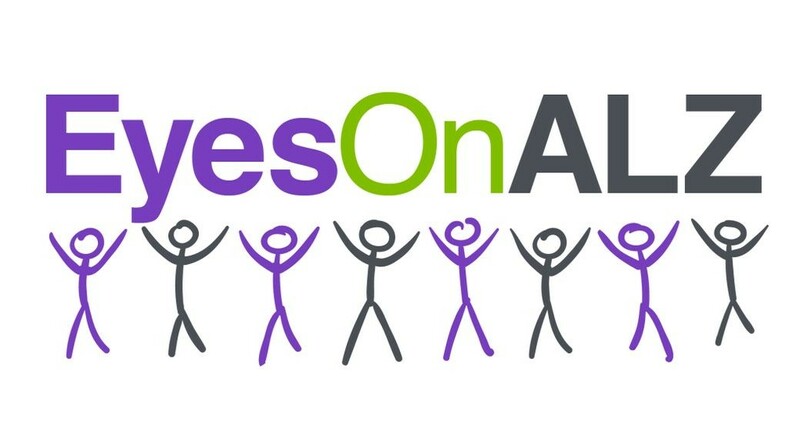 A solution team is itself a human computation system, and as consumers of our own findings, we recognize that key predictors for collaborative success in participatory systems are goal and value alignment. While the Institute maintains an ethos of rigorous empirical doctrine and the highest scholarly standards, the institute’s partnering activities are driven by individual passion – passion in each solution team member both for the target societal outcome and their individual contributions to that outcome. After all, a success for the solution team is a win for Team Humanity.